I'm not usually a patient person. 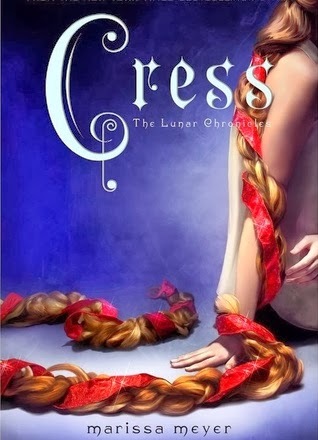 So when the next book in the Lunar Chronicles was released last week I was really excited because I only read the first two in December. On top of that I had a voucher for the book store so I wouldn't even really have to 'pay' for it. But. There's always a but. The bookstore hadn't gotten it in yet. No problem right? Normally they're very good at getting books in fast. But, it's almost a full week later, and still no book. I am devastated. I know it'll probably make me appreciate it more when I get it but, at the minute I am just impatiently waiting for it to come. Waiting, waiting, waiting. I also wanted to talk about something that's been annoying me for a while since I started back at college. It's kind of a pet hate, but it annoys me so much. It's structure. And over analysing. This hadn't annoyed me too much until my last year in secondary school, when we studied poems, and now I find myself studying poetry again, and I have the same problem. The poems, or stories or whatever, are picked and picked apart until they're lying there all bruised and broken, with the inner meanings strewn out across the page and no one has really even appreciated it. I mean, isn't half of the reason that poems or fiction aren't blindingly obvious so as you can meditate on them, and come to your own conclusion as to why the writer had written in that style, or used that metaphor? But to have it set before you almost diminishes the meaning, does it not? To really understand it you must find it yourself, otherwise, you can't really understand it. Also, to say that if something isn't structured precisely then it is not what it is. Let me explain further. I'm not against grammar, or against keeping within certain boundaries, but if you had wanted to write another take on a sonnet, or a ode, or a limerick, to try something new, to do it your way, and then to have it dismissed because it does not conform, then I am against it. Surely these were new too at one point? Surely, you don't have to be a credited writer to express your self in literature? So I'll sit here, and (im)patiently wait for my book, and think about how to try and pass my English class by writing, for my assignment, a sonnet that does not conform. Or at least to say why I like to do things a bit differently.